Home › Trail News › Nov 14, 2018 – Fall Newsletter is here! There has been a lot happening on the Bruce Freeman Rail Trail since our last newsletter was published in the Spring. 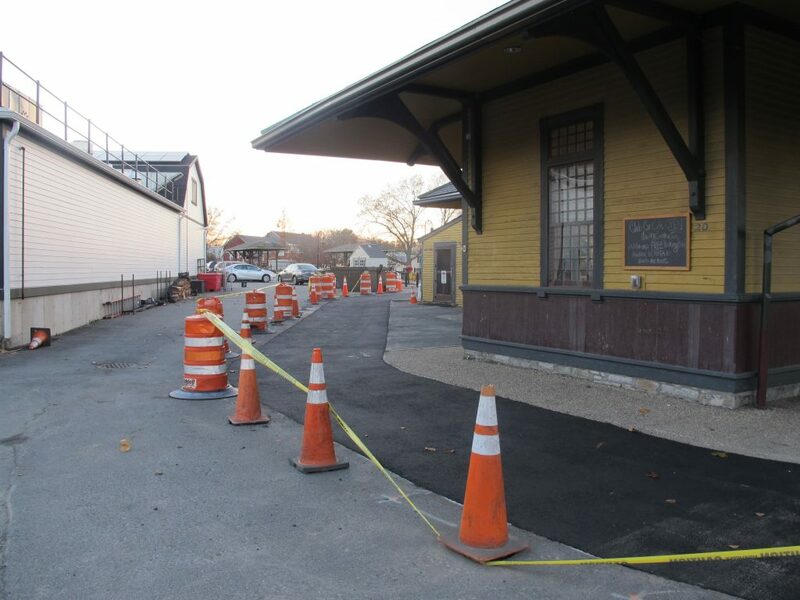 Our latest newsletter has updates on extending the trail into Lowell, enhancements to the trail in Chelmsford and Westford, the Phase 2A ribbon cutting, and construction of Phase 2C in Concord. There has also been progress on Phase 2B (the bridge over Route 2) and design of the trail in Sudbury. Download a copy of our newsletter here. Join us at the Friends Annual Meeting Sunday, December 2, 2018, 2 p.m., Pedal Power Bike and Ski, 176 Great Road (Rte. 2A), Acton. November 2018 – Trail construction continues in West Concord between Woods Hill Table and Club Car Cafe.